Visitors at the Israel Trade Fairs and Convention Center in Tel Aviv stand in front of a screen showing an image of a painting by Vincent van Gogh. 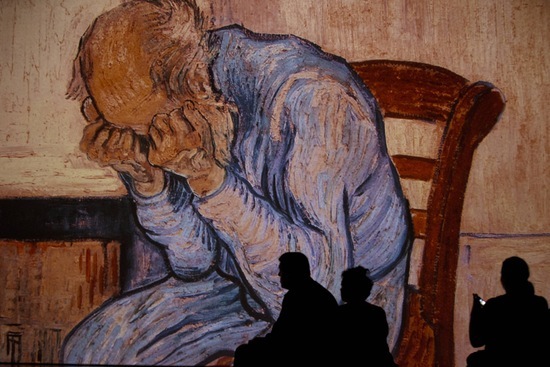 The multimedia exhibition, “Van Gogh Alive,” features thousands of large-scale images of van Gogh’s works. Photo by Jack Guez/AFP/Getty Images.